It last took place in 2015. The below is for the 2015 Frozen Summer Fun event. Disney has not yet announced when or if the event will recur in 2016. This page will be updated as soon as more information is available. Do you often have the uncontrollable urge to do what frozen things do...IN SUMMER!? 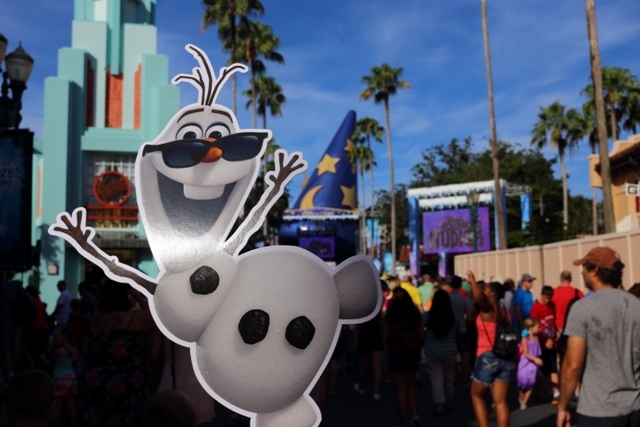 If you, like many people, cannot get enough of Disney's Frozen (and now can't get Olaf's song In Summer out of your head) you want to be at Disney's Hollywood Studios this summer for the return of Frozen Summer Fun. From June 17 through September 7, 2015, Hollywood Studios once again features a handful of events that all movie fans will love, even those with a "thing with a reindeer that's a little outside of nature's laws." (That's a line from Frozen! Really!) Here is what we know about this all new event so far, but we will update this page as soon as all the details are out. Twice each day spectators bear witness to the arrival of two members of visiting royalty: Queen Elsa and Princess Anna of Arendelle. The regal procession includes skaters, ice cutters, and even local Arendelle celebrity ice salesman Kristoff. Twice along the route, the procession takes a pause in order to sing a song. No prizes for guessing which unbelievably popular song about not holding onto things. 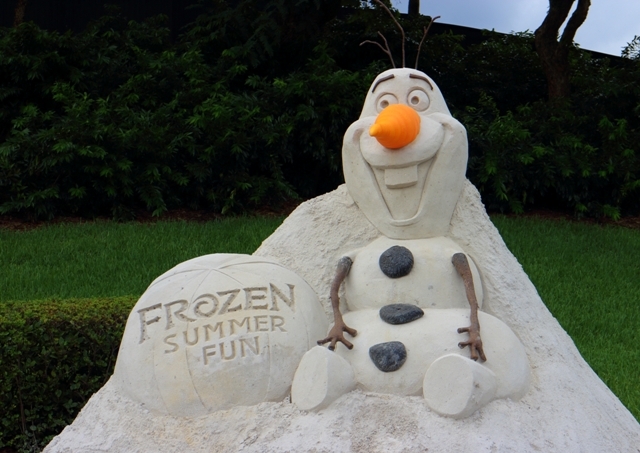 Sure, Olaf is everyone's favorite snowman that came to life one day (well, he's got to be top two), but he's only experienced summer once before (at last year's event). 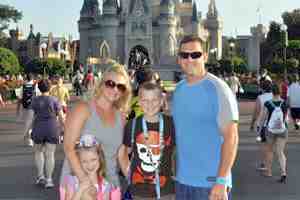 To share in his summer vacation he'll occasionally be heard relaying his experiences around the park and on the event stage. For the First Time in Forever: A "Frozen" Sing-Along Celebration combines a light-hearted retelling of Arendelle history along with several sing-along moments from the movie. If this sound familiar it's because, while it was new for 2014's event, it never actually went away. One thing that will be changing for 2015, however, is that the entire celebration is moving into the home vacated by The American Idol Experience. Now called the Hyperion Theater, the former Superstar Television Theater will include some new in-theater effects. There can't be a Disney event these days without a DJ-fueled dance party, and this one is no different. Each evening at the event stage the turntables come to life spinning out popular songs and Frozen musical medleys. One of the real treats of this event is the "Frozen" Fireworks Spectacular, a continuation of the more frequent firework spectaculars at Hollywood Studios. These particular fireworks are kicked off at 9:45pm nightly by Elsa, Anna, Kristoff, and Olaf and be set to the fantastic music of Frozen. We expect this show to be wonderful and very popular.